To the Omura's Whale Project! This website is devoted to the world's newest baleen whale species. This is the first and only project to study the Omura's whale in the wild! We are just beginning to learn about their behavior, ecology, and conservation needs. We need to gather as much information as possible to protect this species from today's increasing anthropogenic threats. The site is provides information for the general public interested in cool facts about the Omura’s whale, as well as a resource for scientists and professionals looking for the latest discoveries on the species. But we can't do this alone. This work is funded entirely through small grants and donations, and we need your help. Visit our DONATE page to see how you can join our efforts to keep the project going! Check out our new paper, just published in March! It summarizes all currently-known accounts of Omura’s whales around the world. You can find it here! 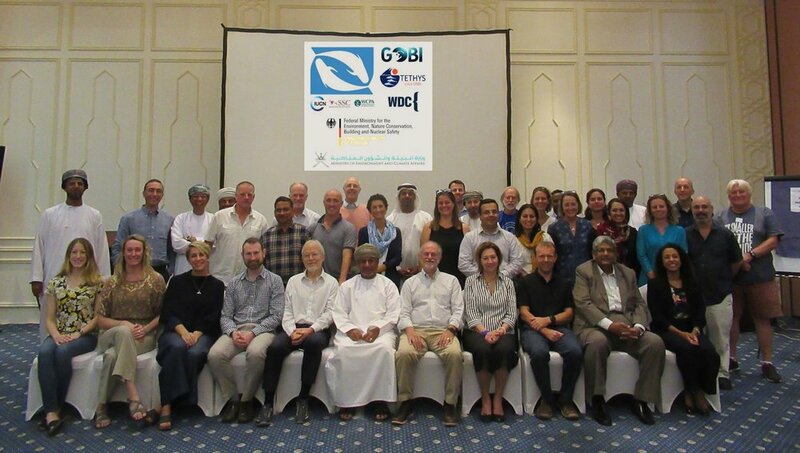 Also, we participated in the 5th Important Marine Mammal Area (IMMA) Workshop, held in Oman, along with 37 other marine mammal experts. This workshop was convened by the IUCN Marine Mammal Protected Areas Task Force. Several areas in Madagascar are now “candidate IMMAs” and are under consideration by an independent review panel, including a cIMMA for the northwest coast of Madagascar that encompasses the Omura’s whale habitat currently defined by our project’s work. Check out the first Omura’s whale underwater video from 2015! You can read more about our field project throughout this website. For your interest and support!